Home/ About Us/ Subsidaries/Sichuan Ya Li Ready-mixed Concrete Co., Ltd.
Sichuan Ya Li Ready-mixed Concrete Co., Ltd.
Sichuan Ya Li Ready-mixed Concrete Co., Ltd. (the “Company”) was established by Asia Cement Corporation and Ya Dong Holding Co., Ltd., both of which are subsidiaries of Far Eastern Group in Taiwan. The Company is situated in Cross-Straits Technology Industrial Development Park, Wenjiang District, with a site area of 86.3 mu and a total investment amount of US$5.5 million. 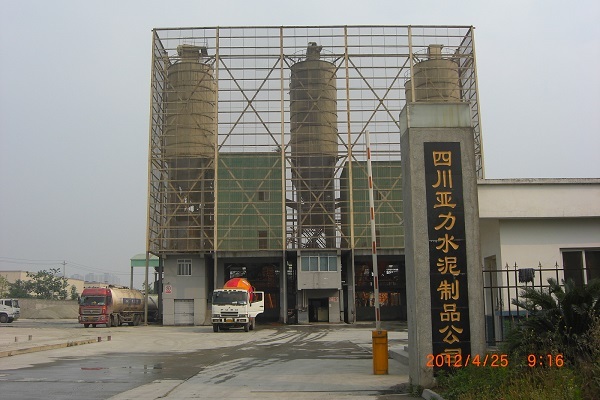 There are two main units (a 2 m3 / minute concrete mixer and a 3 m3 / minute concrete mixer) at the concrete plant with a production rate of 300 m3/h and an annual commercial concrete capacity of 750,000 m3. The plant began operation on 24 June 2007. The Company currently has three trailer pumps and 25 mixer trucks.